When we got on board we went straight to our stateroom to check it out. It was pretty cozy and comfy. After we went out on the deck and had to participate in a mandatory emergency drill and report to our muster station where the lifeboats were located. The meeting place for us was printed out on our seapass card. After that we were pretty hungry so we headed up to the Windjammer all you can eat buffet and loaded up on food. When we got back to our rooms our suitcases were safely delivered inside. The food is decent, some things were kinda bland but some things were delicious. I had gotten the Coke drink package so I was able to collect coke from the bartenders there. Water, lemonade, tea, coffee are all free. Can’t complain too much about an All you can eat buffet. We decided to attend a port shopping presentation in the morning. They had a bunch of raffle giveaways there and told us a ton of stuff about jewelry and diamond shopping in Mexico. There are lots of activities and events throughout the day available. We really enjoyed the ice-skating show ‘Strings on Ice’. After we dined on lots of Johnny Rockets up on the top deck out on the ocean. Day 3 – Cozumel, Mexico! The boat got into port around 7.30 am i.e. Land! We ordered room service breakfast the night before to save on time and had it delivered to our room around 8am while we were getting ready for our day on the island of Cozumel. We pre-booked a 4 hour shore excursion through Royal Caribbean for a tour of Mayan ruins and Beach break (Verified Sustainable Experiences). After we got off the ship we met with our assigned tour guide who took us to the Mayan ruins via air conditioned motor coach. We got an local English speaking tour guide called Bernie. His English and explanations were excellent and appreciated. 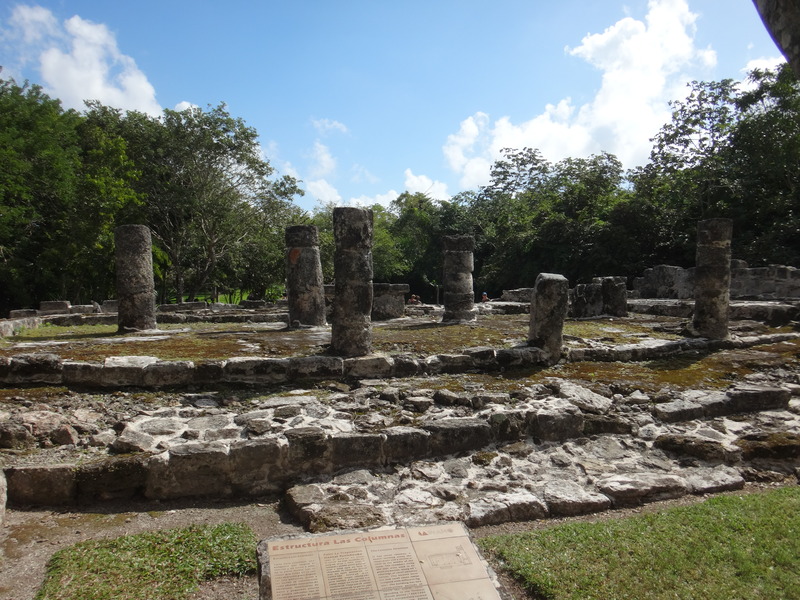 Our first stop was the Ruins of San Gervasio, where Mayans gathered to worship the goddess of fertility, Ix Chel. Apparently some stupid Spanish conquistador blew up parts of the temples in search of gold. However, you could still see a lot of the remains still standing after so long. It was interesting to see how they lined up with the sun. After acquiring free tequila samples and souvenirs we had a scenic drive towards the beach. We saw panoramic oceanfront views of the turquoise Caribbean waters and alluring white-sand beaches while traveling via motor coach. When we got to the beach where we were able to have authentic Mexican cuisine for lunch. We had some amazing margaritas on the beach. 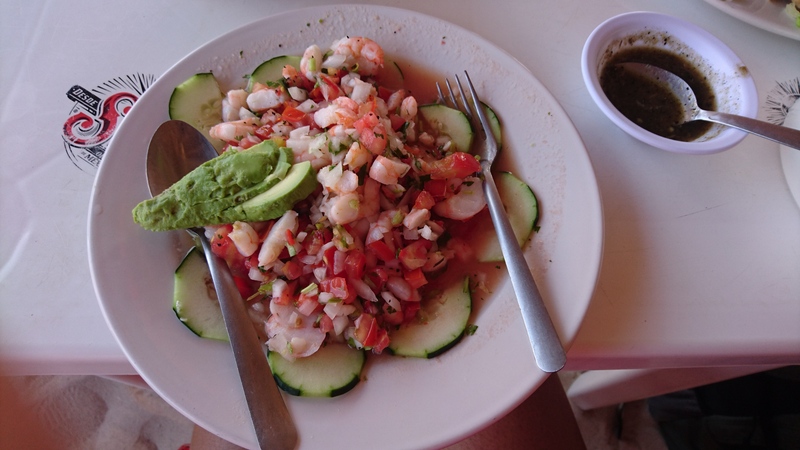 I had some super delicious shrimp ceviche for my main dish and guac dip and chips as appetizers. Definitely a must try. I also want to try to replicate it at home. 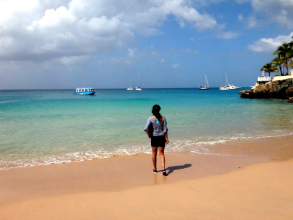 The beach area was really pretty…reminded me of Tobago a bit. After we were safely returned to the port on time where we were able to raid Mexico for it’s real treasures. Souvenirs! We got sombreros, tequila, rum cakes and some free jewelry thanks to our port shopping coupons we got. That night we had formal night on the cruise. We got back and got all dressed up for a fancy dinner at the Romeo and Juliet formal dining. The food was ok there. Kind of bland and basic for my taste though. Day 4 – At Sea and Feliz Navidad! We got up late Christmas morning after staying up late for our formal dinner. We had brunch at the all you can eat café and then ended up hanging out on the deck and in the hot tub. JT tried rock climbing on board. That afternoon we saw a Grease musical which was pretty entertaining. Then we explored around the boat and tried out some more stuff. That night we had to panic pack up our suitcases and put them out so that the porters could take it to be delivered at the port upon our return to Ft. Lauderdale. We got back into Ft. Lauderdale pretty early. We had until 10 am to disembark. It took a lil while to get off the ship but it was pretty short and easy going through US customs. Much easier than airport customs. It was overall a great experience. Way more relaxing than air travel. We did not get sea sick at all. The boat did have some movement on our way back but it wasn’t that bad. I kinda liked the rocking motion for sleeping. 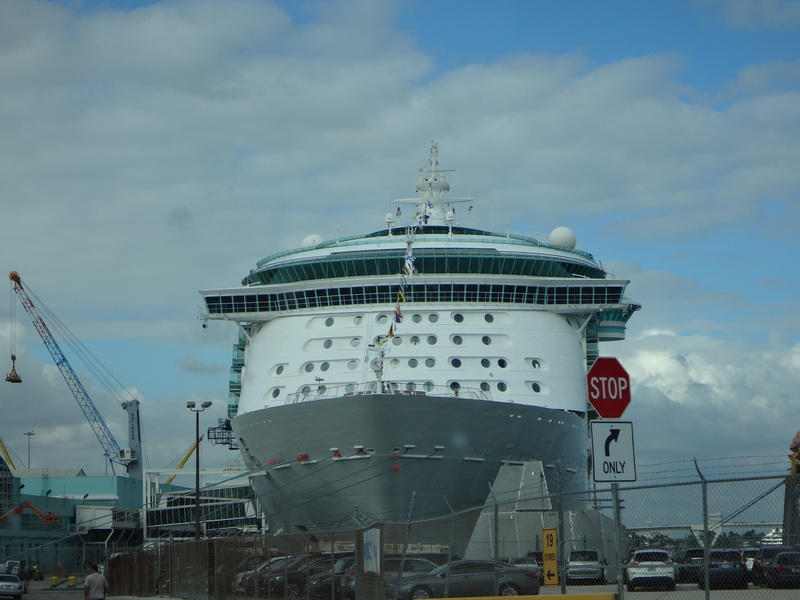 Customer service was great with Royal Caribbean. I’d definitely go on another cruise with them again.